On Friday, the U.S. Supreme Court granted review in a case about the proper application of the modified categorical approach of statutory analysis. Descamps v. United States, No. 11-9540. The Court’s decision in Descamps may explain whether an immigration judge or courts can rely on facts that are not part of the elements of an offense to determine whether a removable offense exists. Coming on the Friday afternoon before a long weekend and several weeks before the Court’s new term begins, the decision to grant cert in Descamps has not received much attention. Nonetheless, the question at the heart of the case—when judges may turn to the record of conviction to determine whether a particular offense constitutes a certain type of conviction, for example, a crime of violence—affects most removal proceedings. Though Descamps does not directly address an immigration law provision, most circuits have applied the same analytical framework, the “modified categorical approach,” to immigration law cases. In Descamps, a federal district court found that Matthew Descamps had been convicted of three violent felonies prior to turning up in court again for possession of a firearm and ammunition, a federal crime. United States v. Descamps, 466 Fed. Appx. 563, 564 (9th Cir. Jan. 10, 2012) (Fletcher, Gould, and Tallman, JJ.) (unpublished). Descamps’ three prior violent felonies subjected him to a significant sentencing enhancement under the Armed Career Criminal Act (ACCA). On appeal to the Ninth Circuit, Descamps argued that his prior convictions for burglary in California, Cal. Penal Code § 459, and felony harassment in Washington, Rev. Code of Washington § 9A.46.020(1)(a), could not be considered violent felonies. The Ninth Circuit had no trouble dismissing his arguments based off its decision in UnitedStates v. Aguila-Montes de Oca, 655 F.3d 915 (9th Cir. 2011) (en banc). It’s the Aguila-Montes de Oca decision that’s truly at stake before the Supreme Court. In Aguila-Montes de Oca, the Ninth Circuit held that a judge may use certain facts that are found in the record of conviction but are not required elements of the offense to determine whether a particular sentencing enhancement applies. Aguila-Montes de Oca was charged with illegal reentry, INA § 276, due to a conviction for burglary in California, one of the crimes involved in Descamps’ case. If California burglary is a “crime of violence,” then Aguila-Montes de Oca stood to see his sentence increase significantly. Aguila-Montes de Oca, 655 F.3d at 918. In Aguila-Montes de Oca, the Ninth Circuit held that California burglary was a crime of violence—specifically, a “burglary” as that term is generically defined for purposes of the federal ACCA and, more pertinently for crImmigration.com readers, immigration law purposes as well. According to the Ninth Circuit, it did not matter that California’s burglary statute is broader than the generic definition of burglary. In California, for example, it’s possible to burglarize a place that is open to the public, but the generic definition used by federal law does not. Aguila-Montes de Oca, 655 F.3d at 943-44. In the Ninth Circuit’s view, this discrepancy between the state and federal definitions could be remedied by turning to documents contained in the record of conviction. Under the method of statutory analysis called the “modified categorical approach,” judges can use the record of conviction to determine whether a state law offense is identical to a federal offense that triggers an increased sentence under the ACCA, removal under the INA, or a host of other consequences. Ordinarily, the modified categorical approach applies only to statutes that are divisible—that is, where the statute punishes conduct that fits the federal generic definition and conduct that does not fit that definition. For example, a divisible statute might punish some conduct that constitutes a crime involving moral turpitude and other conduct that does not. Aguila-Montes de Oca took the unusual step of allowing judges to apply the modified categorical approach “to [state] statutes that are ‘missing an element of the generic crime.’” Aguila-Montes de Oca, 655 F.3d at 927. This inquiry essentially allows judges to determine whether the defendant admitted or the trier of fact (the judge or jury) made a finding about a fact that was not required for guilt under the criminal statute (often referred to as a “non-element fact” because it is a fact that is not part of the elements of the crime). This makes sense, the court explained, because As a conceptual matter, these statutes simply substitute a shorthand phrase for a list of acts or objects covered by that phrase. For example, a statute that requires use of a “weapon” is not meaningfully different from a statute that simply lists every kind of weapon in existence. Using the word “weapon” as an element is not analytically different from creating a list of all conceivable weapons (“gun, axe, sword, baton, slingshot, knife, machete, bat,” and so on)…. Similar logic applies where a statute does not even require a weapon, and only requires harmful contact. If a statute of conviction only requires the element of “harmful contact,” that element in turn is indistinct from a list of all the possible ways an individual can commit harmful contact (“harmful contact with a vehicle, harmful contact with a gun, harmful contact with an axe, harmful contact with a utensil” and so on). The only conceptual difference between a divisible statute and a non-divisible statute is that the former creates an explicitly finite list of possible means of commission, while the latter creates an implied list of every means of commission that otherwise fits the definition of a given crime. Aguila-Montes de Oca, 655 F.3d at 927. To determine whether a non-element fact actually formed part of the conviction, the court added that judges could simply turn to the record of conviction under the modified categorical approach. Aguila-Montes de Oca, 655 F.3d at 928. This is not to say that the Aguila-Montes de Oca court allowed judges to use the modified categorical approach at will. They can do so, the court announced, only to discover facts that are “necessary” to conviction. In the court’s words, “It is not enough that an indictment merely allege a certain fact or that the defendant admit to a fact; the fact must be necessary to convicting that defendant.” Aguila-Montes de Oca, 655 F.3d at 937. Using this analytical framework, the Descamps court turned to the information and plea colloquy in search of the missing elements that might convert a state burglary conviction into the generically defined “burglary” used for federal sentencing enhancement purposes. Descamps, 466 Fed. Appx. at 565. It appeared to lack any difficult spotting the missing pieces: “The combination of facts stated in the information and plea colloquy show that Descamps’s conviction necessarily rested on facts identifying the burglary as generic.” Descamps, 466 Fed. Appx. at 565. As the question presented indicates, most circuits take a different position than the Ninth’s. According to those circuits, the modified categorical approach applies only to divisible statutes. See United States v. Beardsley, 2012 WL 3641933, *15 (2d Cir. Aug. 27, 2012) (“we conclude that only statutes that are divisible in the sense that they define a number of separate offenses may be subject to the modified categorical approach,” and expressly rejecting Aguila-Montes De Oca’s reasoning); United States v. Gomez, 2012 WL 3243512, *5 (4th Cir. Aug. 10, 2012) (“In our view, the Supreme Court made clear in Johnson that the modified categorical approach necessarily applies only to those statutory offenses in which the statute itself is divisible.”). Indeed, recent Supreme Court decisions suggest as much. See Nijhawanv. Holder, 129 S. Ct. 2294 (2009), and Johnsonv. United States, 130 S. Ct. 1265 (2010). In Johnson, for example, the Court explained, “When the law under which the defendant has been convicted contains statutory phrases that cover several different generic crimes, some of which require violent force and some of which do not, the modified categorical approach that we have approved permits a court to determine which statutory phrase was the basis for the conviction by consulting the trial record….” (internal citations and quotations omitted). Johnson, 130 S. Ct. at 1273. Nowhere does the Johnson Court suggest that the modified categorical approach may be used in situations like that allowed by the Ninth Circuit. Oral argument hasn’t yet been set, but I’ll be sure to stay tuned. **Like crImmigration.com? 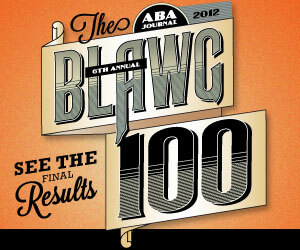 Consider taking 1-2 minutes to nominate it for the ABA Journal’s Blog 100 Amici, its list of the 100 best legal blogs. The simple nomination form is available here. Nominations are due September 7. I wonder if the SCOTUS will finally try and define what “divisible” actually means. The de Oca court isn’t as alone as it appears since many circuits just define “divisible” extremely broadly a point the en banc De Oca court makes strongly. Mitchell Dale, owner of McRee Ford in Dickinson, Texas, says that combining the cars under an umbrella helps Ford tell a larger storyMitchell Dale, owner of McRee Ford in Dickinson, Texas, says that combining the cars under an umbrella helps Ford tell a larger story. I’m a extended time watcher and I just thought I’d drop by and say howdy there for your really first time. We are each individuals with our own family traditions and loyalties. So the uniform is not intended to hide our individuality, but it is a way we give each other strength and support. It is a bond that ties us together in spite of our differences. It’s appropriate time to make some plans for your future and it is time to be pleased. I’ve discover this put up and if I may I want to suggest you few fascinating problems or suggestions. Maybe you can create next articles concerning this article. I want to learn even more issues about this! similar to a effect an individual is capable of having modestly charged several style totes to select distinct periods and various costumes. I every time spent my half an hour to read this web site articles all the time along with a mug of coffee. Thank you for taking the time to post a review of your recent stay at The Reach! We pay close attention to what our guests are saying in order for us to maintain superior service during all aspects of your stay. A work of a harvest,exactly because of your troublesome writing, we can feel so much happiness, learn more our own understanding of their. The world could be so okay. I have read so many articles concerning the blogger lovers but this paragraph is in fact a pleasant piece of writing, keep it up. For most recent news you have to visit world wide web and on world-wide-web I found this web page as a best website for hottest updates. Agree with your words. Can you can keep update your post. I wanna back. bye! Agree with your mind. Do you can keep update your post. I will back. bye! Fantastic site! I am loving it!! Will be again later to read through some far more. Many thanks a good deal for making the most of this beauty blog with me. I am appreciating it very much! Looking ahead to one more wonderful website. Great luck to the author! all the very best!